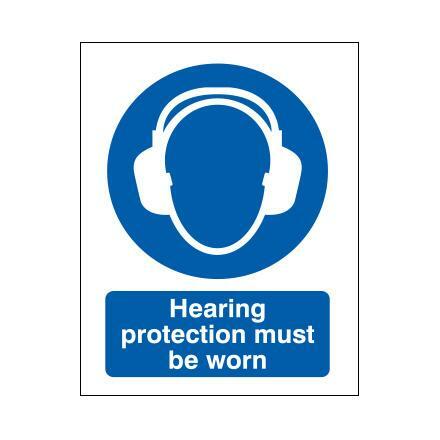 Hearing protection must be worn. Manufactured in 1.2mm rigid polypropylene or self-adhesive vinyl. 400mm x 300mm.